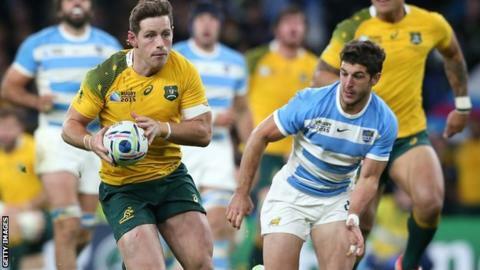 Argentina and Australia will play each other in a Rugby Championship Test at Twickenham on Saturday, 8 October. It will be the first game in the series to be played outside of the competing nations, of Australia, Argentina, New Zealand and South Africa. The game will count as a 'home' fixture for Argentina and will conclude this year's competition. The two countries met at Twickenham last year when Australia won a World Cup semi-final by 29-15.